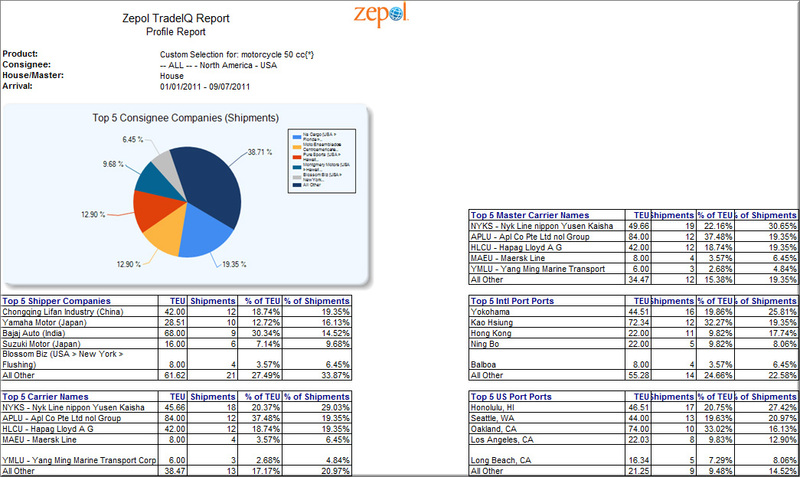 TradeIQ is Zepol’s original, primary and best-known product. It’s the searching and reporting UI atop the U.S. Customs data. TradeView uses the very same utility, and has the same look and feel, except that it sits atop U.S. Census (statistical) data. Compliance Monitor, their newest offering, is simply email updates on specified Harmonized Codes of all pertinent changes. There is no UI attached. 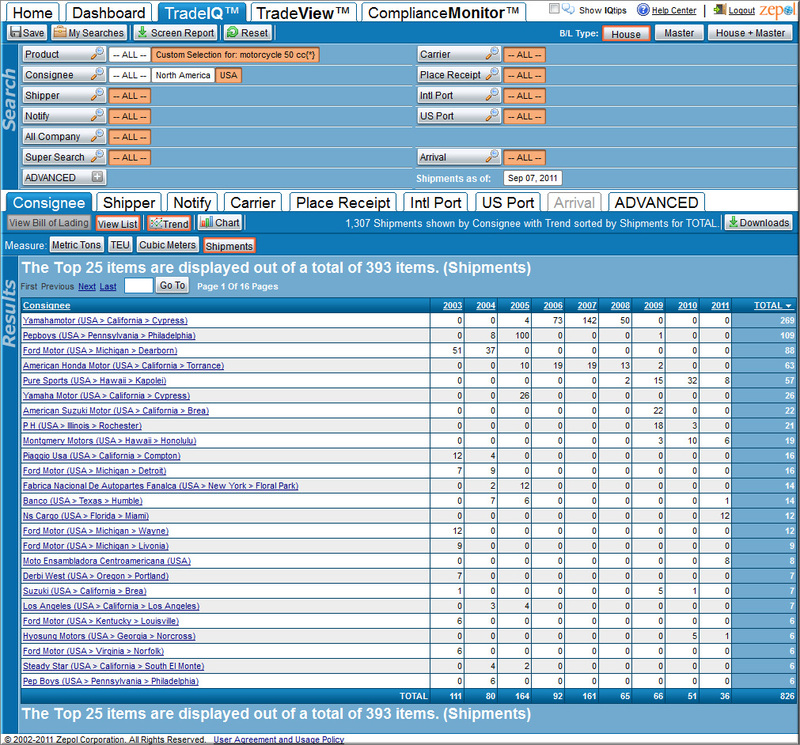 It is obvious that TradeIQ has seen a lot of improvement over their initial product launched in 2004. Besides being incredibly fast, upon which attribute I expounded upon greatly in this initial series, Zepol, Part 1: Fast, Faster, Fastest… Freakin’ Crazy Fast Search Engine, TradeIQ has an elegant, well-designed user interface. Like, Paul himself, it’s very straightforward, clear and concise. The logic is easy to understand and utilize. As far as utility to search and fetch manifest records is concerned, it is my personal favorite. If I wanted to broaden the search, let’s say to include all shipments disembarking China headed for Tennessee via any Southeastern port, all I need to do is make 2 additional clicks. The first click back up the “Intl. Port” search tree (China) and the second click two steps back on the U.S. Port (Southeast). In this method, users easily refine and change the scope of their search. The logic has remained the same since Zepol first launched their product. The only difference is that now there are cool buttons instead of links. The overall layout, user interactivity, organization of search results and graphic displays have much improved. Conveniently arranged tabs and buttons provide users easy access to various views of the retrieved data. As would be expected, searches (and corresponding results) can be saved and exported (Excel or PDF). In addition, users can schedule updated reports to be generated and emailed as desired. Four selected reports serve as the default view for a respective user’s Dashboard. Sample refined illustrating Shipments of mopeds into the U.S. by various Chinese suppliers between 2003 through 2011. TradeIQ Profile Report conveniently summarizes search results in “top five” U.S. consignees, foreign shippers, Ports, Carriers, etc.